This CD set has 3 hours of listening that can be enjoyed at home or as you drive (for busy parents). 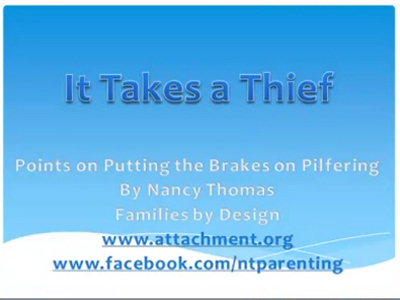 Laugh along with Nancy Thomas as she explains Reactive Attachment Disorder (RAD) and the twelve powerful parenting techniques she has used successfully for many years to guide disturbed children toward emotional health and happiness. Many parents have shared with us that they enjoy listening to these CDs over and over to renew hope, gain more encouragement and fine tune the specialized parenting skills to help their child. 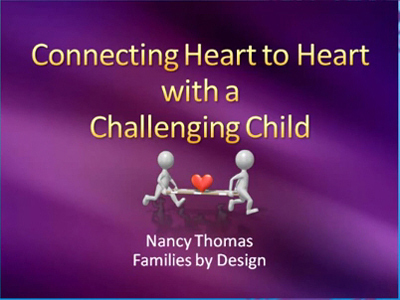 Love alone cannot heal an unbonded child. 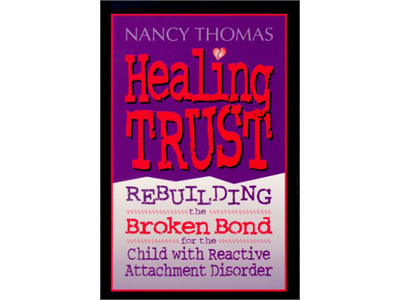 Unbonded, or unattached children are rage-filled and disconnected from other human beings. Usually abused and neglected in the first two years of life, these children cannot trust the significant and loving adults in their lives. 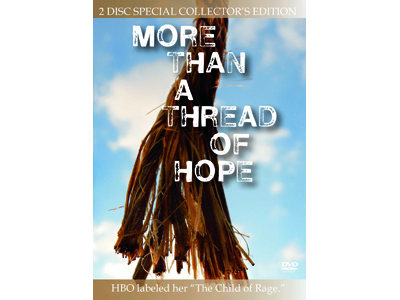 These severely disturbed youngsters, who suffer from Trauma Disorder or Reactive Attachment Disorder (RAD), need specialized, intensive treatment in order to thrive within a family environment.